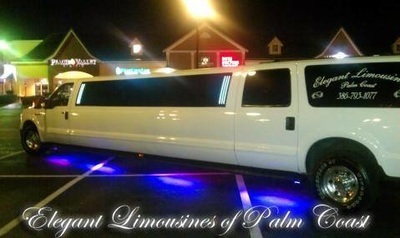 DAYTONA BEACH LIMO SERVICE FLEET ! Leather seating for up to 20 passengers. It has 3 flat screens and a state of the art sound system. 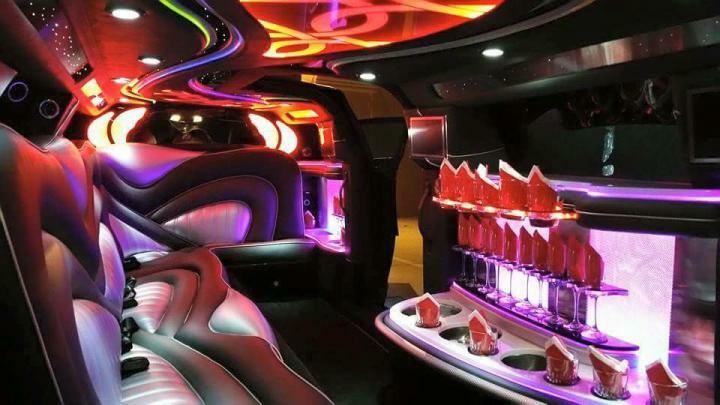 This Limousine is perfect for large wedding parties or groups in need of plenty of room and comfort. It also features LED and fiber optic lighting. It can go from Mild to Wild. The bar area has rock & champagne glasses and 5 ice chests for refreshments. 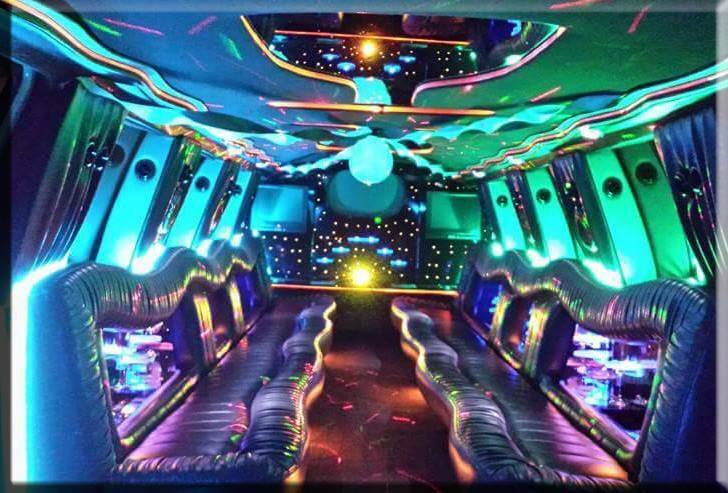 Leather seating for up to 9 passengers and a full length bar with elegant fiber optic lighting. This limo also has a great audio and video system. The bar is stocked with champagne glasses and rock glasses. There are 3 ice chests for refreshments. This truly is our most elegant limousine. If it's class and style you are looking for this is the limo for you. OUR WIDE RANGE OF LIMOUSINES MAKE US THE BEST LIMO COMPANY IN THE AREA! Our 10-13 Passenger Sprinter style Transit Limo Bus is the perfect luxury vehicle for all occasions. Seating for 10 to 11 adult passengers or 13 passenger for kids. 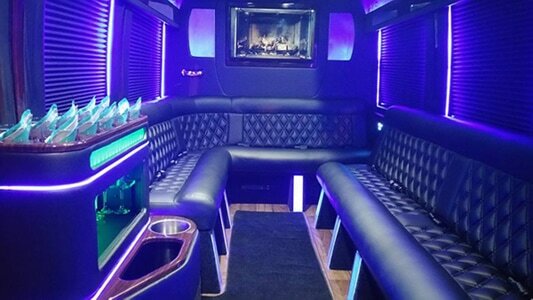 The limousine style interior of our Sprinter Style limo offers leather seating and a luxurious wood finished bar. Amenities include champagne and rock glasses, ice chests for drinks and an amazing audio and video system. The Sprinter can be used for luxury transportation for corporate travel and events, weddings or a night out on the town. With a sliding side door, a retractable side step and 6.5 foot high ceilings this is by far the most comfortable vehicle in our fleet. Introducing our brand new Charger Limo with a gull wing jet door. This is a jet style door that opens straight up in the air in the center of the limousine. No expense was spared when building this limousine. It is equipped with the best fo the best. Leather seating for 10 passengers and amazing light show and interior that is guaranteed to impress. The bar is a multi level bar with rock & champagne glasses and plenty of room for ice and refreshments. It features a 3,000 watt sound system and 3 flat screens. Lincoln is still number one in luxury. 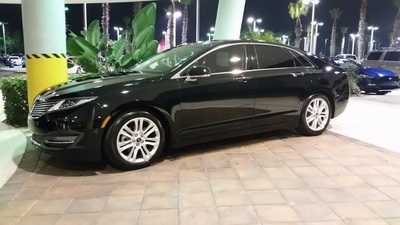 We are proud to offer the new Lincoln MKZ to our clients. 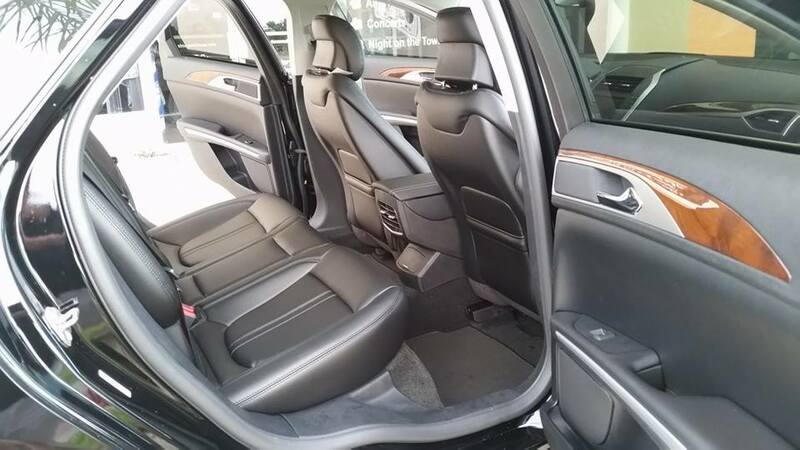 This luxury sedan features double stitch leather seating, dual climate control and an are in the rear for clients to charge their electronic devices. Plus it comes with the smooth ride of a Lincoln. 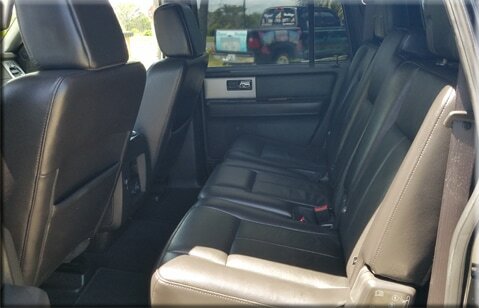 A perfect vehicle to take you to the airport or just a nice relaxing ride. 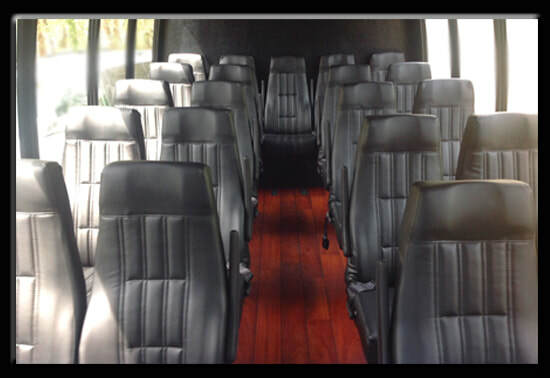 Our 22 passenger Mini Coach Bus offers luxury shuttle style seating for up to 22 passengers. The front row seats face the rear of the bus with 2 tables perfect for drinks and enjoying conversation with your friends. 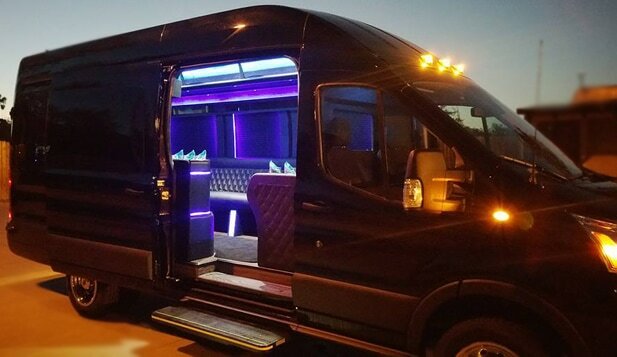 USB charging ports, LED lighting and a large flat screen makes this luxury bus the perfect vehicle for moving large Wedding Parties, trips to and from the Airport or Cruise port. The rear of our bus has a seperate section for plenty of luggage. Also a great bus for corporate and sporting events. 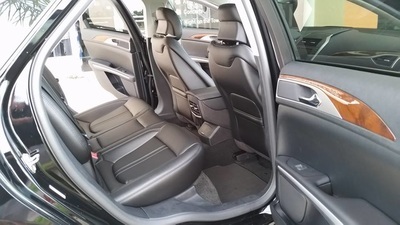 All of Volusia County"s Daytona Beach Limousines and Luxury Sedans are cleaned and maintained in house on site. Our large facility allows us to keep a close watch on all of our vehicles. So we are 100% sure your limo will arrive operating in perfect condition. Also our in house detail shop makes sure every limo and sedan leaves here looking like it did the day it was new. Be sure to check out all the videos blow. 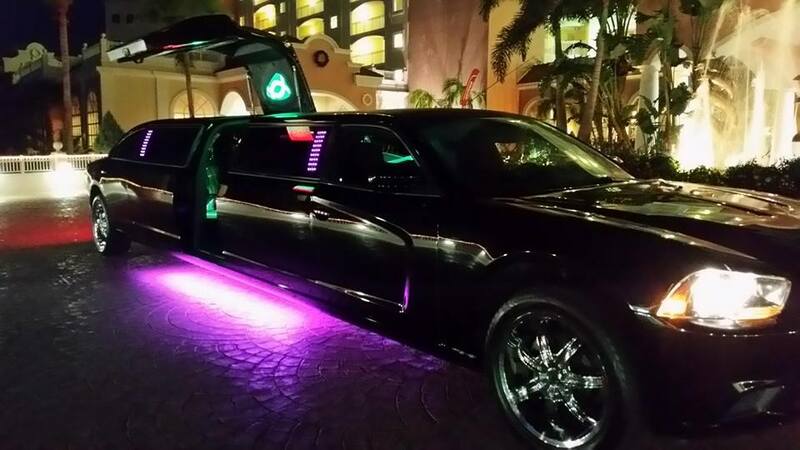 Here you will find videos of our fleet of limos in Daytona Beach. 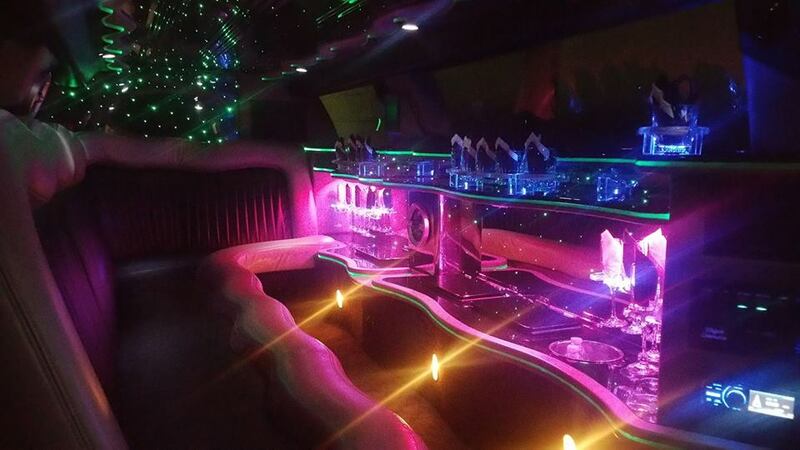 We featured the inside and outside of each limousine in our fleet.